Depending on the job specifications, machines used by Big Cut Sawing & Drilling include a Diesel / Petrol Road Saw, a 3 phase Electric Road Saw, 3 phase High Frequency Wall Saw and a technique known as stitch drilling using a Core Drill. All machines are fumeless except one, thus eliminating any hazardous risks and allowing all confined space detailed works to be performed. Big Cut Sawing & Drilling has more than 25 years of experience in concrete cutting and concrete drilling. Our business has been carefully built on safety, reliability, honest and afforablity. We use only the most advanced equipment for your projects, to ensure accuracy and efficiency. We have the experience and know how to deal with any issue that may come up in your work site. Concrete cutting maybe tough, but it is our business, and we know how to work through anything! Suspended Slab Sawing Done on Your Schedule. When you need concrete sawing, Melbourne construction sites know that they need a company that will work with them. At Big Cut Sawing & Drilling, we know how complicated your schedule can be. We respect that our customers have very specific time and budget constraints to consider when they bring in any outside speciality operators. That is why at Melbourne based, Big Cut Sawing & Drilling, we are committed to providing our customers with safe, efficient, cost effective cutting and drilling that fits into their schedule. One of the primary tasks we do for work sites is sawing and scoring the concrete to control the cracks and expansion that will inevitably occur in concrete projects. Concrete will follow the path of least resistance when it cracks or expands, so it is important to give concrete a localised path to do so. This work must be done within a very specific window of time to ensure that expansion or contraction does not begin cracks before these cuts are made. Because of this, our scheduling is very precisely planned out, and we know that it is important to customers that we complete their work on very strict deadlines. At Big Cut Sawing & Drilling, we are committed to meeting all of our customer’s deadlines and providing them with complete satisfaction in our work. 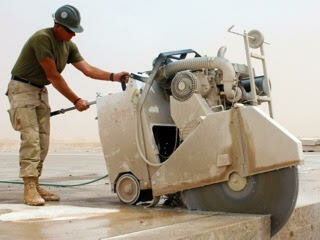 Big Cut Sawing and Drilling is available for any type of project that requires concrete sawing. We have experience with residential, commercial, industrial and civil construction industries. 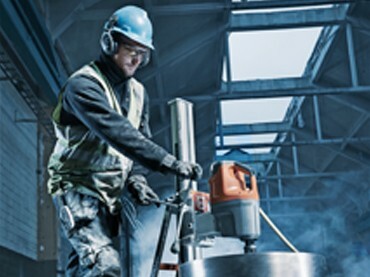 The concrete cutting tools we use will always be the most advanced, safest and most effective for your specific project. Our operators will bring their tools with them and ensure proper tool use and maintenance, so there is no need for you to worry about tools. Any type of concrete cutting, drilling, scanning, and concrete sawing can be completed by our operators. 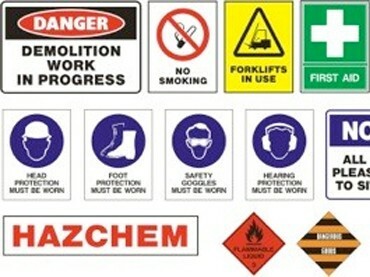 Our operators are kept up to date with equipment and safety regulations and updates. We rely on recurring training to keep our employees at their best. We are dedicated to making sure that every concrete job we do is done safely and effectively, without any hassle for our customers. Same Day Scheduling Throughout All of Melbourne. For concrete cutting, Melbourne sites can count on Big Cut Sawing & Drilling for same day scheduling. Our operators are always available to come out and help our clients, whether they need concrete sawing or drilling. Our employees are always focused on safety. We have all of the necessary equipment to complete any job, including generators and lifts for when we need better access on your site. We are fully insured, and our quality work will always meet your standards.